and it is not even more than 10% of the population that has to believe that this is the norm to make it the norm. Or at least that is what I perceived while reading this article. I want to learn and understandmore regarding a few topics. I will start by listening and then mske an attempt towards introducing this to 20%, make 10% use it as the norm and voila. Things will have changed! 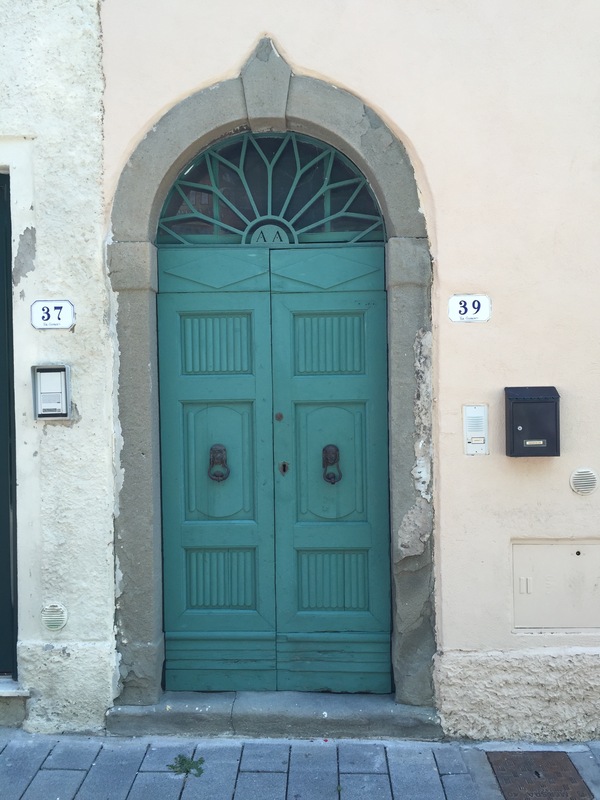 A beautiful turqouise door on Via Gioberti, Orbetello, Tuscany.